에스테베스 섬(Esteves Island)에 위치한 이 5성급 호텔은 안데스 산맥에서 볼리비아에 이르는 전망과 티티카카 호의 멋진 전망을 자랑합니다. 온수 욕조와 사우나가 완비된 스파와 무료 Wi-Fi도 이용하실 수 있습니다. Libertador Lake Titicaca의 넓고 우아한 객실에는 에어컨이 마련되어 있으며, 모든 객실에서 호수 전망이 보입니다. 전용 욕실, TV와 미니바도 갖춰져 있습니다. Los Uros 레스토랑에서 안데스 지역과 세계 각국의 퓨전 요리를 드셔보십시오. Libertador Lake Titicaca에는 유산소 운동기구가 구비된 피트니스 짐과 다양한 상점도 있습니다. 본토와 다리로 연결된 푸노 시내는 호텔에서 차로 단 5분 거리에 있습니다. 잉카 만코 카팍 국제공항까지는 차로 45분이 소요됩니다. 무료 공용 주차장도 이용하실 수 있습니다. 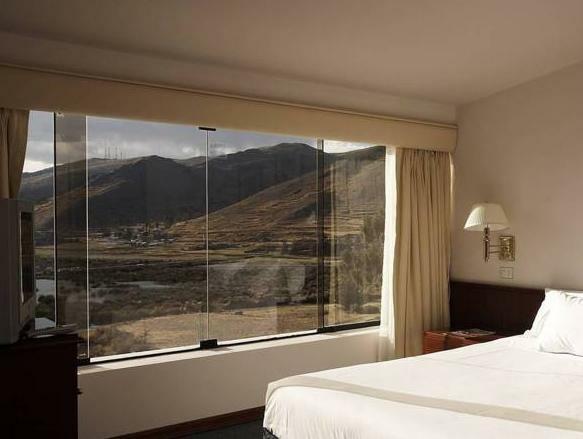 Probably the best hotel in Puno. Staff and facilities are great. Rooms have everything one may need. Our request to change the room for a different view was promptly fulfilled. Hotel is a little away from town but taxis are easy to get and cheap. 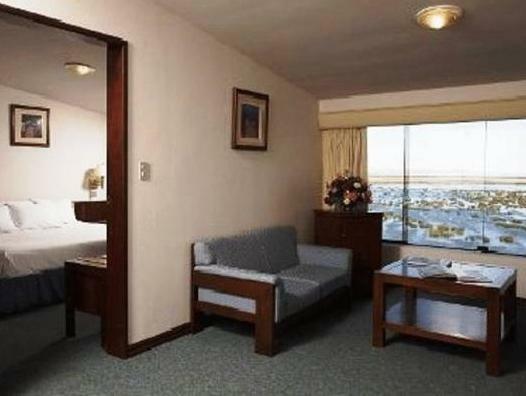 Rooms are somewhat on the smaller side but adequate. The hotel is right next to the lack, and the view was amazing. Don't recommend this hotel at all. It's over priced and dated. Offers nothing and uncomfortable. Worst hotel during my time in Peru. 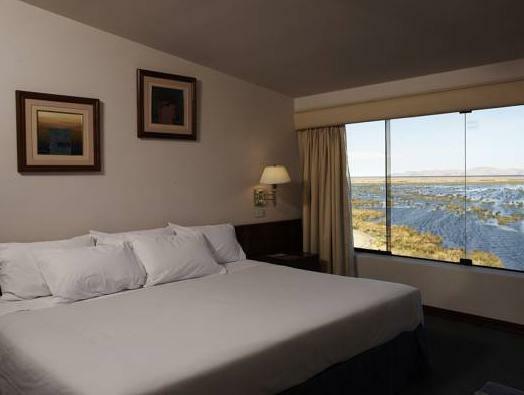 Nice hotel with great lake view. We stayed here and used it for a trip to the floating islands. Our boat picked us up right below the hotel. There is not much around the hotel so it is quiet at night unless you go outside - you can hear dogs barking around town. IT takes a few minutes to get a taxi as it is out of the way but the taxi costs are cheap. The food was not what you would expect from a 5 star hotel. Breakfast was far simpler than european breakfast or Asian or US Buffet type breakfast - there was not a big selection. Bacon undercooked, eggs were scrambled and undercooked. You could ask for eggs your way but there was no egg station to order at. Nous avons passé un séjour extraordinaire au Libertador Isla Esteves Hotel. L'accueil a été particulièrement agréable, toutes les excursions ont été préparées avec l'hotel et ont été de qualité. La cuisine proposée par le restaurant était très bonne. Une seule ombre au tableau, nos chambres donnaient sur le hall d'entrée qui est très bruyant à chaque arrivée de groupe.